Every year, around 30,000 products are launched into the market. Some of them go on to be successful. Most, though, vanish without a trace. Depending on what you read, up to 95% of newly launched products fail. The reason for this? Lack of preparation. “The biggest problem we’ve encountered is lack of preparation: Companies are so focused on designing and manufacturing new products that they postpone the hard work of getting ready to market them until too late in the game,” says Joan Schneider and Julie Hall in a Harvard Business Review article. What is a go-to-market strategy? 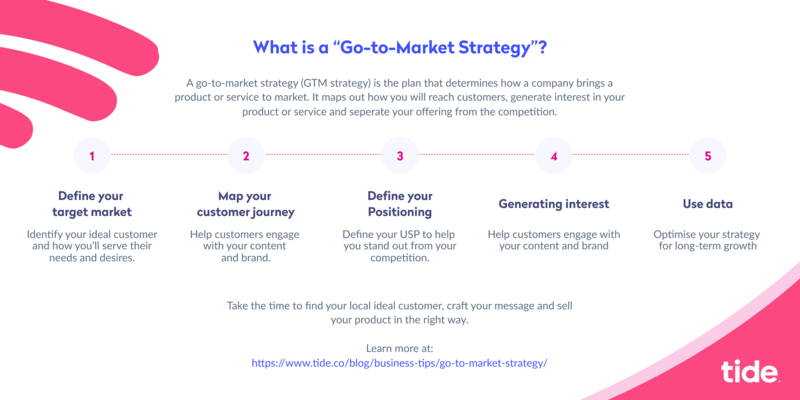 A go-to-market strategy (GTM strategy) is a plan that determines how a company brings a product or service to market. It maps out how you will reach customers, generate interest in your product or service and separate your offering from the competition. 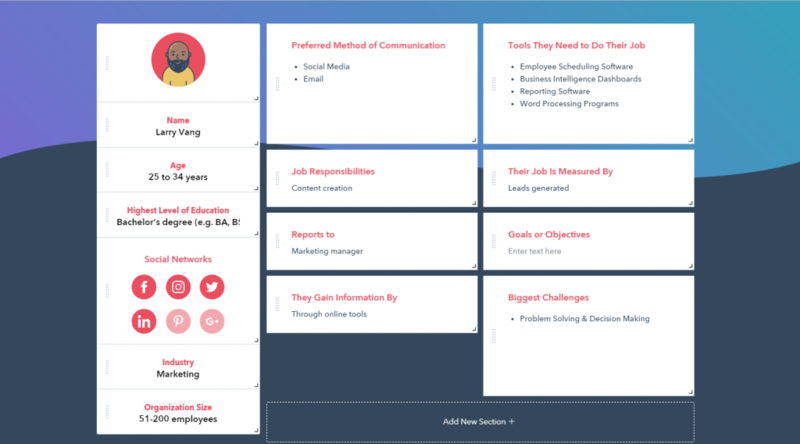 A GTM strategy requires in-depth planning of target audience, marketing and sales strategy to identify where the product or service can fit into the market and thrive. While you’ll need to invest substantial time and resources in creating one, a well planned GTM strategy gives your product or service the best chance of long-term success. Your target market is the group of people that have a need or desire for your products and services. Regardless of what you’re offering, it won’t be for everyone. Even mass-market products like toothpaste and washing up liquid have clearly established audiences (i.e people with teeth and people without dishwashers). Working out yours will give you the foundation for your GTM strategy to build off. Defining your target market starts with the customer: who is most likely to buy from you? Your current customer base (if you have one) can help you identify which customers to target. Do they share any interests, characteristics and other common traits? There’s a good chance that people similar to your customers will benefit from your new product or service. Which market are they targeting? If people are buying from them, they might well be interested in what you have to offer. Don’t let the fact that competition exists put you off. It’s merely validation that there’s a need for what you’re offering. To understand your core customer groups and work out who your GTM strategy is aimed at, you should map out buyer personas. These are fictional, generalised characters based on your ideal customer. It’s important to keep in mind everyone that may be involved in the buying process. If you’re a B2B company, this will mean factoring in influencers, buyers, decision makers and users. If you’re a B2C company, you must consider each type of end consumer. For example, if your new product was a beard oil, you might divide personas into men buying the products for themselves and women buying products as gifts. Where do my customers live? What are their job titles? What is their income range? What is their relationship status? Which languages do they speak? Which types of websites do they frequently visit? What are their reasons for buying my product (what problems do they have?)? What concerns do they have when buying my product? Where do they currently buy similar products? You’ll be able to answer some of these questions off the bat, others may require a little more digging with the help of some free tools. Google Analytics: If you’re already using Google Analytics, head to Audience > Audiences from your Analytics dashboard you’ll find detailed information on the demographics of people visiting your website including gender, age, location, interests and more. (Don’t have a website yet? Consider putting together a one-page website or landing page to validate your new business idea. This will allow you to generate interest and data without investing in a complex website). 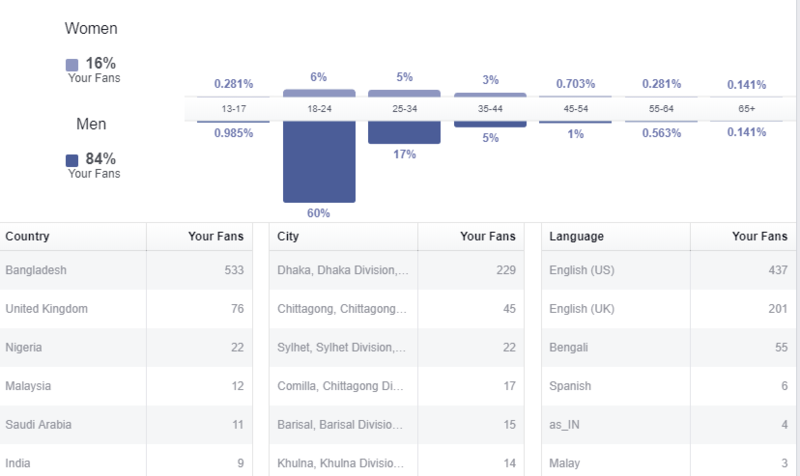 Facebook Insights: If you have a Facebook page set up for your business, Insights gives you similarly in-depth data on audience demographics. SimilarWeb: Lets you enter the URL for any website in the world and find information about their audience. Use it to see what kinds of people are engaging with your competitors. Competitor social media: Who’s liking, commenting and sharing the posts of your competitors? By checking out their profiles, you’ll be able to learn more about them. Once you’ve answered the questions, you’ll be able to humanise the persona. And now you have a much better idea of who your ideal customer is. Not only that, but you can communicate and share them across your entire company with ease. Now that you know who you’re targeting, the next step is to map out their journey — how they go from curious visitor to paying customer. Awareness: The customer has a problem or a specific need and they’re researching more about it. Consideration: The customer has defined and prioritised the problem/need, now they are looking at available options to solve it. Decision: The customer has created a list of products or services that can solve the problem and they’re ready to pick the one that best meets their needs. 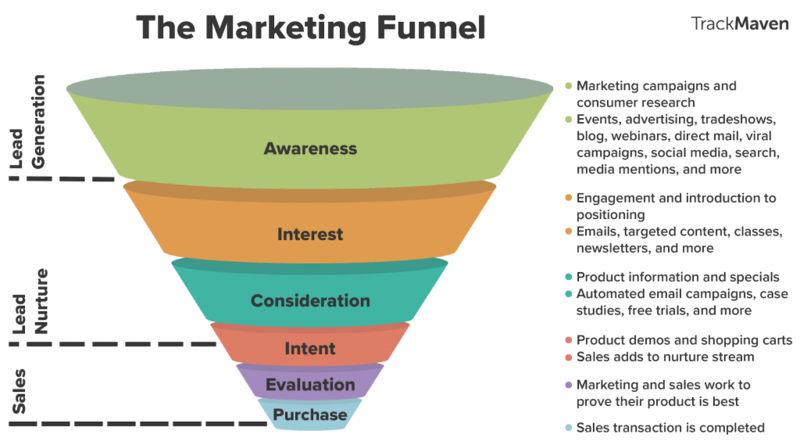 When it comes to marketing and sales, however, the journey becomes a funnel with more steps. Now you have six steps to guide customers through. The first three steps — Awareness, Interest and Consideration — belong to marketing. These are the steps that get eyes on your brand and create interest in your product. Awareness: This stage is all about establishing trust and authority. A problem or need has cropped up and the person is looking into it. For example, someone looking to get more leads for their business might Google “how to get more leads for my business.” They’ll then descend into a rabbit hole of blog posts, videos and social media content. You want to show up when a customer begins searching for information related to their problem. You can do this by creating relevant content (we’ll get onto that soon) that gets people engaging with your brand and sharing information (phone number, email address, etc.) that turns them into leads. Interest: Once a person becomes a lead, they move down to the next part of the funnel. Now they’re finding out more about your company and the products you offer through emails, ebooks, webinars, blog posts or other informational content. When the prospect is ready to move onto the next three steps of the funnel — Intent, Evaluation and Purchase — the sales team enters the process. Intent: When a person shows intent, it’s time to make the case for your product or service. Intent can be seen by a person receiving a demo from a sales rep or adding a product to their cart. In many organizations, marketing may still be heavily involved in this phase. Evaluation: Now a prospect is weighing up their options. Should they invest their money in your product or service? Sales and marketing need to work together to convince the prospect that they’re making the right choice. Purchase: The sales rep closes the deal, turning the prospect into a customer. Once a sale is made, an additional step comes into play: Loyalty. Loyalty: Once you have a customer, you need to do everything you can to keep them. According to the book Marketing Metrics, there’s a 60%-70% chance that a customer will make at least one more purchase from your company. Studies also show that happy customers spend more. Plus, keeping the customers you have is five-times cheaper than acquiring new ones. Reward loyalty with personalised offers, referral bonuses and loyalty programs that allow customers to earn discounts and special privileges. It’s important that from the very top of the funnel the customer has a positive experience. They should feel wanted and valued by your brand so that the emotional connection is there. In fact, 90% of people trust suggestions from friends and family. The data is in: a connection with your brand matters. By producing marketing materials that educate and engage, training sales reps to answer queries and reassure buyers and rewarding loyalty, you’ll engage happy customers and keep your marketing/sales funnel full. In order to convert leads at the top of your funnel into loyal customers, you need to stand out. While a potential customer happily consumes your marketing materials, they’ll almost certainly be researching other businesses at the same time. So what is it that you stand for? What do you offer that makes you different — better — than the competition? Defining your position and unique selling point (USP) is what separates you from the rest. It shows customers that what you offer is something they won’t find anywhere else. For some businesses, like Tide members Apollo 3D, positioning and USP is clearly defined from the outset. The company creates 3D models for businesses so that customers can take detailed virtual tours to get a feel for a place before visiting. There’s no other service offering the same thing at the same level (even Google Street View pales in significance) so the product stands alone at the top of the market. For other businesses, position and USP require more thought. 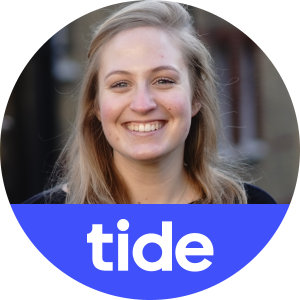 To give you another Tide member example, Ben Kamara and Rob Gill run the website and app design agency, Provius. There are thousands of other web design companies around for customers to choose from, so how does Provius make itself unique enough for businesses to choose them? Well, while other agencies focus on selling, Provius only takes on clients they can concentrate on. Clients know it’s them doing the work. No middlemen. They’re also a value-driven company, choosing clients to work with that help others, not necessarily those that pay the most. These differentiators are unique selling points. How does your business solve the problems your ideal customers have? Write down 3-5 benefits that a customer gets from you that they can’t find anywhere else. Think about these benefits from the customer’s perspective — why is your product or service important to the customer and why should they choose you over a competitor? Write down your passions: Why do you love your business? Why are you good at what you do? What drives you? These things are unique to you and can help you stand out. Come up with a promise: Giving customers a promise or guarantee helps to make your business irresistible. When you’ve completed these steps, take what you have — benefits, passions and promise — and write them down as a coherent paragraph. Then work on condensing it down even further to a couple of sentences and keep on testing until you have something that makes you unique. 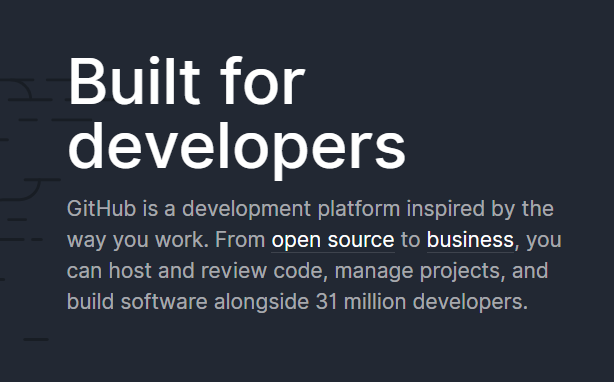 People visiting the GitHub website instantly know who the platform is for (and who it’s not for), what it can be used for, and how popular it is — 31 million people use it. With strong positioning and a defined USP, appealing to your audience and getting customers becomes a simpler task. The self-service model is when the customer makes a purchase on their own, with no nurturing from a sales team. This model works well if a customer has everything they need to understand the value and benefits of your product and the ability to purchase and service themselves. A good example of this model in action is Netflix. Customers can land on the website, read through what’s on offer and sign-up there and then. Self-service is a popular model with B2C and software-as-a-service (SaaS) companies. It’s preferred by startups for its cost saving advantages (no need to hire a sales team), however, you will need to invest more heavily in marketing if you choose this model. The inside sales model is dominant in modern B2B, tech and SaaS companies where customers need nurturing. It’s also favoured by B2C companies that offer products of medium price and complexity. Inside sales involves sales reps contacting potential customers remotely, via phone or email. If you’ve ever had a phone call from an insurance company after having entered your details for a quote online, this is inside sales in action. And it’s a model that customers prefer. According to Sales Benchmark Index, 70% of customers don’t want in-person meetings. While 78% of decision-makers have taken an appointment or attended an event off the back of a cold call or email. If you have a high-volume product or service, inside sales can be a cost-effective way to close sales. The field sales model is the opposite to inside sales in that you employ a sales team to get out there and sell face-to-face. It’s a popular model with high-ticket sellers, where volume is low and the sales cycle is drawn out. Google, for example, uses field sales to sell its Cloud Platform to organisations, while companies like Salesforce use face-to-face selling to close sales for its marketing and engagement solutions. This model is the sales approach of choice for large companies, with field reps making up around 71% of the sales workforce, however, it doesn’t come cheap. As well as field reps, a team of sales development representatives, sales engineers and sales managers are required. Expertise comes with a high salary and scaling is difficult due to the cost of hiring and training. The channel sales model involves someone selling your products for you. For example, rather than sell products through its own stores or website, Microsoft uses third-party sellers like Argos or Currys PC World. This model is beneficial in that it takes away the need to hire a sales team, although it does rely on you finding the right partner to sell — one that matches your interests. If you’re selling a consumer product, this can be a good way to generate interest and sales quickly. It can also easily be combined with other models. Once you’ve settled on a sales model, it’s time to start attracting attention and filling up your funnel. You can do this with inbound and outbound marketing. If you’re going down the self-service route, success will come down to the strength of your inbound marketing. This involves using content, social media and advertising to bring customers to you. Inbound leads are cheaper to acquire than outbound leads and typically easier to convert. That’s because, through the strength of your marketing, people are already educated on your product or service before they declare their interest. Inbound marketing is driven by content marketing, which is built on research and promotion. Research keywords: Use tools like Google’s Keyword Planner, SEMrush and Buzzsumo to enter words and phrases related to your product or service that you can use in your content. Enter your keywords into Google to check out the competition and analyse which keywords they’re using. 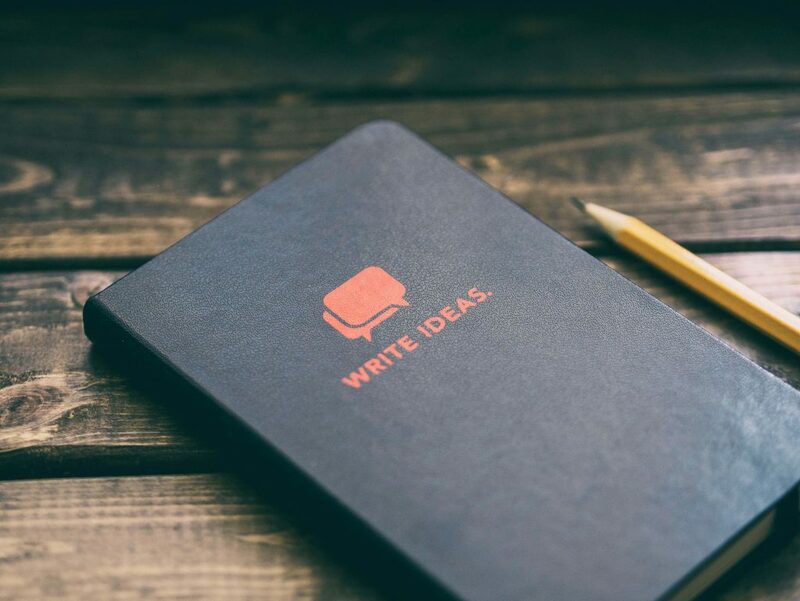 Research topics: Write down ideas for topics that include your keywords. Use tools like Answer the Public and Quora to see what questions people in your target market are asking. Create the content: Write the articles, make the videos, record the podcasts and publish ebooks based on your keywords and topics. Remember, as the prospect moves down the funnel, content needs to be more in-depth, informational and focussed on how your product or service can help. Promote the content: Share content far and wide, on social media, to your email list and in industry publications to drive traffic to your product or service landing pages. Get links: Reach out to industry publications or bloggers and ask them to link to you. Use a tool like Moz’s Link Explorer to see which websites are linking to your competitors and contact them. If they’re linking to your competitors, they might be willing to link to you. Backlinks are one of the most influential ranking factors in SEO. The more links you have from reputable sources, the higher your website will rank. Monitor performance: Track performance to see which types of content perform best. Stick with the ones that work, ditch the ones that don’t. Sending emails and making phone calls to people on your contact list. Cold calling or emailing potential leads. Meeting potential customers at industry events or conferences. Targeted advertising through display ads, social media ads, and Pay-Per-Click (PPC ads) on search engines. With outbound marketing, the marketing team comes up with the materials to generate interest and the sales team uses the interest to close sales. A successful GTM strategy is all in the numbers and you should always be tracking, measuring and optimising to ensure those numbers are working in your favour. To keep things moving in the right direction, there are six key performance indicators (KPIs) that you should monitor closely. This is the best measure of your marketing activities. Studies show that 94% of B2B buyers and 81% of B2C customers research online before making a purchase. New visitors to your website is a sign of how well the content you’re putting out there is working. How much is it costing you to turn a stranger into a contact? This will help you tell where your marketing is most effective. For example, if search is proving a more cost-effective way of bringing in leads than social, you might want to increase your investment in SEO. How many of your leads turn into customers? By knowing how many leads sales reps are able to close, you can improve marketing performance and identify areas to dedicate more resources to. As well as looking at overall conversion rate, look at rates for individual sales reps. This will help you work out who needs help with coaching or training. Knowing the long-term value of customers will help you offer better deals and benefits to those most likely to continually invest in your business. Lifetime value is what the customer spends over their lifetime of using your product. For example, if a customer is with you for 10 years and they spend £100 a year on your product or service, their lifetime value is $1000, minus the money spent to acquire them as a customer. By determining the LTV, you can compare against conversion rate and acquisition cost to see if your customers’ long term spend justifies your marketing investment. This measures how likely a customer is to recommend your products or services to others and is based on a rating of 1-10 — 1 being that they don’t like you and 10 being that they love you and are happy to tell anyone that will listen. Customers that rank you highly (a 9 or 10) are promoters. Customers that rate you a 7 or 8 are passives — satisfied but unlikely to spread the word. Customers that rate you between 0 and 6 are detractors and will likely generate negative word-of-mouth. Send out an NPS every 3-6 months and use an NPS calculator to work out your score. Number of days from first contact + customer conversion rates for all sales = total number of days for all sales combined. Total number of days for all sales combined / number of deals = number of days for the average sales cycle. Use this calculation to reduce time to conversion and improve conversion rates at each stage to speed up revenue growth. Continually measuring progress and analysing data will help you make the necessary marginal gains for long-term growth. When you’ve created something new and exciting, it’s natural to want to show it off to people, but rushing it isn’t the way to go. Take the time to find your target market, understand your customers, craft your message and sell your product in the right way. A go-to-market strategy might not be the most glamorous part of launching a new product or service, but it’s probably the most important. Follow the steps we’ve outlined in the post, your future self will thank you for it and your customers will too. If you are keen on learning more about how to get new customers and build your business, download our free eBook: The small business guide to marketing on a budget. As a small business owner, it can be tough getting new customers without breaking the bank. Download our small business guide to marketing on a budget and learn how to acquire customers and build your business from £0 a month. Marketing strategy for my startup… Where do I start?